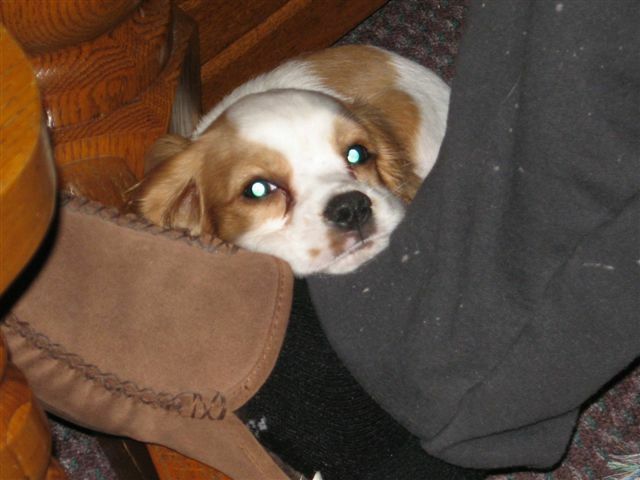 Finnegan taking a snooze on Daddy's foot....he is just a little snuggler and has the best disposition!!! LOVE our little guy!! !